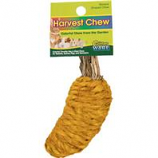 All natural chews made of real apple and peach woods from sustainable tree sources fits super pet kabob dispenser. • For Chinchillas and Other Small Animals. • Salt Enriched With Carrot, Celery, Corn and Apple Flavors. • Pack Includes All Four Flavors. • A Necessary Source Of Salt and Minerals. • For Guinea Pigs, Hamsters, Mice, Gerbils, Pet Rats, Chinchillas and Rabbits. 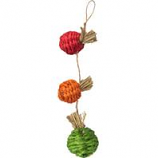 Your Pet Will Nibble and Gnaw At The Mini Nut Knot Nibbler To An All Natural Surprise. Provides Amusement For Small Animals and Helps Prevent Boredom. 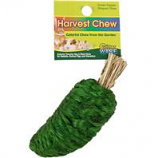 Safe Chew Toys That Help Overcome Boredom As Well As Trims and Cleans Teeth. Naturally crispy timothy hay. Helps promote dental health. Usda approved food coloring. Encourages healthy activity. . Naturally crispy timothy hay. Helps promote dental health. Encourages healthy activity. Usda approved food coloring. . Safe Chew Toys That Help Overcome Boredom As Well As Trim and Clean Teeth. A Safe and Entertaining Chew Toy That Helps Overcome Boredom.